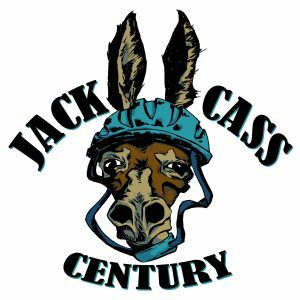 Join us on May 29th for the 2017 Jack-Cass Century. The Jack-Cass 100 starts and finishes at New Longview in Lee’s Summit, Missouri. Along the way, riders will take in the bucolic setting of both Jackson and Cass counties. An out-and-back route officially includes route lengths of 20, 40, 60, 75, and 100 miles with SAG stops at each official route turn-around where riders can refresh with food and drink. Riders have the option of turning around at any point on the route to return to the start for varied mileage. Each route is chip-timed; riders also have the option to take part in the Strava KOM competition consisting of three timed segments along the route. This year, we are offering segment prizes which will be announced soon! Riders will enjoy happy hour food and drink specials at the after-party hosted by Long-Bell Pizza. Each registered rider will also receive $5 off their bill courtesy of The Jack-Cass Century. Register early and save $10 off of the onsite registration fee. The first ~300 pre-registered riders will receive a Tour of KC finisher medal. Supplies are limited so make sure you register early. We are raising funds for two great organizations this year. The Missouri Foundation for Bicycling and Walking does great work for the cycling community in the state. We have also thrown our support behind Alex’s Lemonade Stand, a children’s cancer charity. When you register, a small, $2 donation will be added that goes directly to the two organizations. Please also consider the option to add an additional donation amount as well, 100% of these funds goes directly to these charities. Thank you to those of you who have already donated through registration! We are also looking for volunteers for registration, SAG stop support, and SAG drivers. Please contact us if you can help us make this year’s event a success. Thank you to this year’s sponsors and partners, Jackson County, Bicycle Shack, Longview Community College, New Town Bicycle and Coffee Shop, Gale Communities, Long Bell Pizza Co., and Beacon Press.